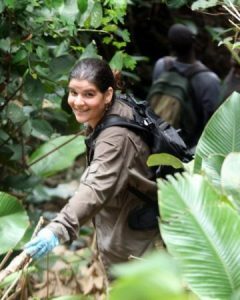 Dr Susana Carvalho, Fellow of St Hugh’s College and Associate Professor in Palaeoanthropology, has co-authored a new paper in Science on human-driven extinction. “The human species is causing profound climatic, environmental, and biotic disruptions on a global scale. In the present time (now called the Anthropocene), most species of large terrestrial herbivores are threatened with extinction as their populations decline and their geographic ranges collapse under the pressure of human hunting, poaching, and encroachment. Although the scale of ongoing anthropogenic ecological disruptions is unprecedented, human-driven extinctions are not new”. The research was reported by the BBC.